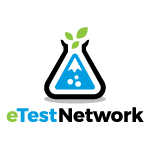 Mike and his team of professionals at eTest Network are incredibly knowledgeable and skilled in their field. Etest also fully understands the urgency of getting client’s quick results, and I have been pleasantly surprised at how reliable and efficient Mike’s services have been! He was also happy to educate the occupants of the home on the legalities of the testing requirements and address their safety concerns regarding asbestos, mold, lead. If you are a contractor, or work with building restoration, or maybe even a homeowner working on a remodel – it is likely that you will be in need of testing. Give Mike a call. The company representative was quick to respond. The test results were available very quickly. I got a phone call with a verbal result and an email containing the total report. I was impressed with the knowledge and professionalism of the company. I would definitely contact them again.